Since 2008, our mission has been to provide advocacy, support and education services to improve the lives of Evanston families impacted by disability. We obtained our nonprofit status in July 2016 and are excited to expand our capacity to execute our mission. Evanston CASE is uniquely situated to be the go-to place for families whose children have special needs. We serve parents and caregivers with children aged 3 to 22, with any disability, who attend Evanston public and private schools. 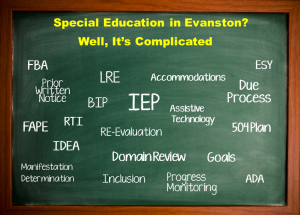 Over 1,500 students in the Evanston community receive special education services in our schools. These children and families are grappling with disabilities including Autism, ADHD, Down Syndrome, Dyslexia, Mood Disorders and Cerebral Palsy, to name a few. The challenges they face are drastically different from families who have typically developing children. CASE advocates for appropriate special education services and promotes the inclusion of families and children in school, community activities and programs. 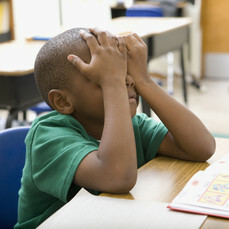 Navigating the special education process is complex and overwhelming for many parents. Without the services that CASE provides, parents enter into special education meetings unprepared to effectively navigate the system. When utilizing the consultation and coaching services CASE provides, our parents become empowered advocates with the strategies they need to secure the appropriate educational services that their children require. The services that Evanston CASE provides are urgently needed in our community. Navigating the school system, searching for inclusive programs in the community, living with family and financial stressors and finding a place of belonging — free of stigma — are central to the lives of these families. Through the execution of our mission, we have demonstrated a significant and positive impact on the experience of families who have children with disabilities. We are proud and privileged to do this important work. We welcome your participation and support. If you are interested in contributing or volunteering, please contact us at mail@evanstoncase.org.